CINCINNATI -- Christina Davis goes to Taste of Cincinnati every year to partake in the region’s annual food fest. But she is more excited than ever for this year’s Memorial Day weekend tradition because she and her husband will be vendors. Their Davis Cookie Collection will be one of 21 businesses selling products as part of Taste of Findlay Market, a new addition to the nation’s longest running culinary arts festival. “It literally has always been a dream,” Davis said. Peanut butter chocolate chip is one of the flavors Davis Cookie Collection offers. For her and her husband, Miles Davis, being part of Taste of Cincinnati is just the latest coup for their business, which was first featured by WCPO last year. The small cookie company graduated from the Mortar accelerator program last August and has had all kinds of doors open for it ever since, Davis said. Cincinnati Mayor John Cranley invited the business to attend his State of the City Address and bring cookie samples. Davis Cookie Collection opened a temporary location in the Carew Tower as part of the city of Cincinnati’s Cincy Pop Shop program. And perhaps most importantly, the company got a scholarship for 100 free hours at Findlay Kitchen . That has allowed Davis to bake many more cookies at once than she could at home and sell them at places such as Taste of Cincinnati, City Flea and the Strauss Troy Market on the Square at Fountain Square while continuing to supply cookies for her retail partners – Conscious Kitchen in Clifton and DIRT at Findlay Market. 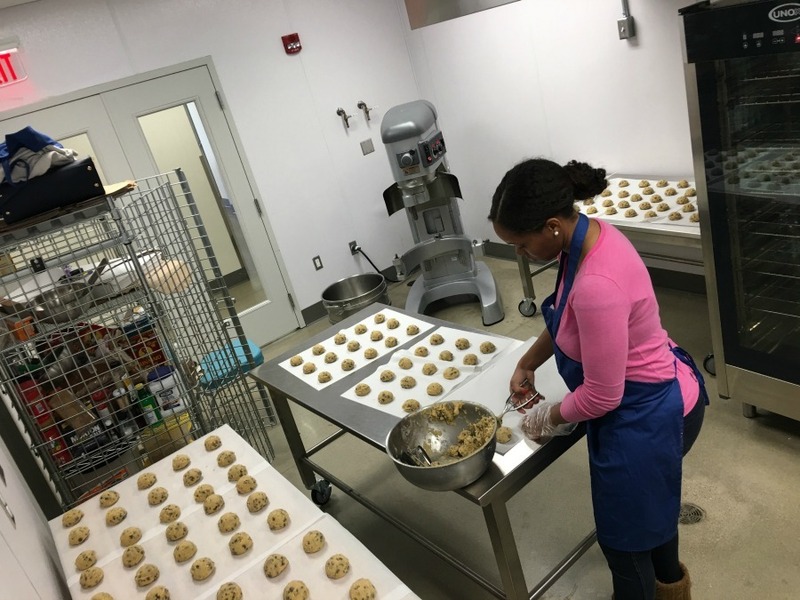 Christina Davis can bake hundreds of cookies at a time at Findlay Kitchen. All of that is a testament to how hard Davis and her husband are willing to work to make their business a success, said Marianne Hamilton, director of Findlay Kitchen. “They’re willing to say yes to every opportunity we pass along to them,” Hamilton said. Along the way, Davis has learned a lot about what works for the business, what customers like and what long-term business goals make sense. 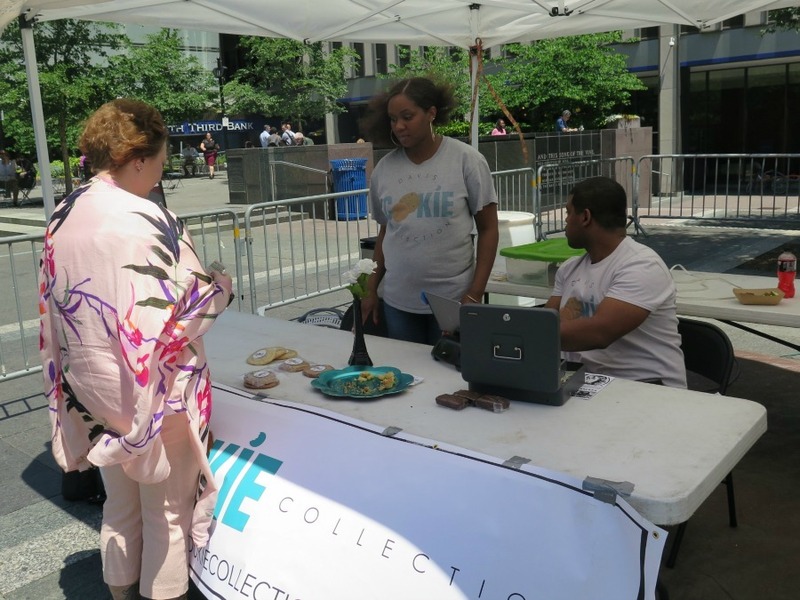 The pop-up storefront, for example, attracted a diverse array of customers from the city and people from out-of-town who were visiting and gave the Davises lots of information about which cookie flavors were most popular. Through Findlay Kitchen, Davis got a behind-the-scenes tour of Busken Bakery to get a better understanding of cookie manufacturing. And Findlay Kitchen and Mortar have helped connect the company with City Flea and the weekly Strauss Troy Market on the Square. Next up: Davis has meetings planned with Jungle Jim’s and Clifton Market and hopes to eventually forge a partnership with Kroger stores, she said. “Maybe within the next five or six years, we could maybe open up our own storefront and be kind of like a staple of downtown Cincinnati where people can come for a great experience or great cookies,” Davis said. She envisions a place like Garrett Popcorn Shops in Chicago, which are known for their handcrafted popcorn and lure visitors inside with the smell of the popcorn cooking. Christina and Miles Davis help a customer during a windy Tuesday on Fountain Square. “We really want to be part of the revitalization that’s going on in downtown Cincinnati right now,” Davis said. Fans of the Davises have little doubt that they can take the business far. 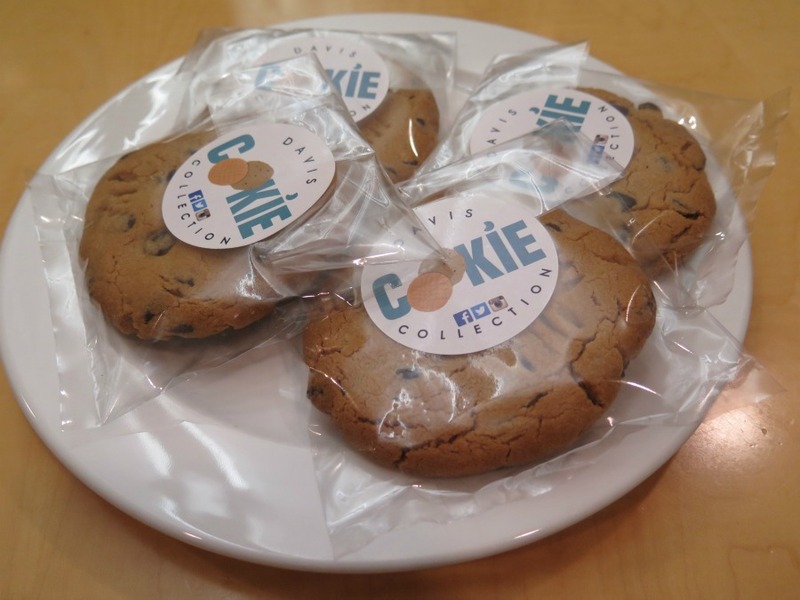 The couple also offers a product that is appealing because Davis makes the cookies from organic ingredients that are locally sourced when possible without the preservatives that so many other cookies have, Hamilton said, without making them too expensive. Prices at Market on the Square were $2 per cookie or $3 per brownie. The company sells its cookies by the half dozen or dozen through its website and Facebook page . Christina and Miles Davis also have done a great job at connecting with their customers, said Sadell Bradley, the catalyst strategist at Mortar who works with graduates of the accelerator program to help them grow their businesses. At this year’s Taste of Cincinnati, hundreds of hungry people will get to sample that potential for themselves, one sweet bite at a time. A tray of fresh-baked Davis Cookie Collection cookies made at Findlay Kitchen. 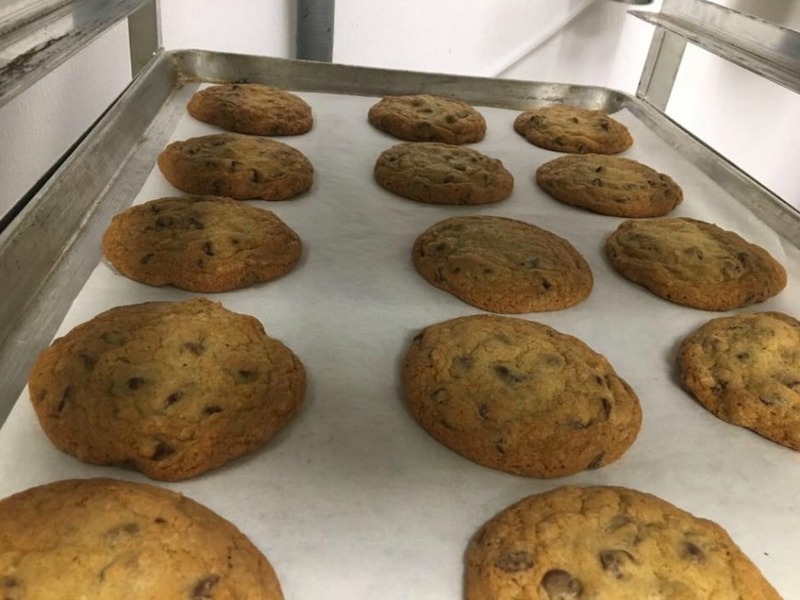 Davis Cookie Collection will be selling its hand-made treats from noon to 8 p.m. on Saturday May 27, the first day of this year’s Taste of Cincinnati. More information about Davis Cookie Collection is available online. Information about Findlay Kitchen is available online, too. And anyone interested in learning more about how they can support women- and minority-owned businesses can contact Sadell Bradley through Mortar’s website . Lucy May writes about the people, places and issues that define our region – to celebrate what makes the Tri-State great and shine a spotlight on issues we need to address. She has been writing about women- and minority-owned businesses in Greater Cincinnati for nearly 20 years. To read more stories by Lucy, go to www.wcpo.com/may . To reach her, email lucy.may@wcpo.com. Follow her on Twitter @LucyMayCincy.